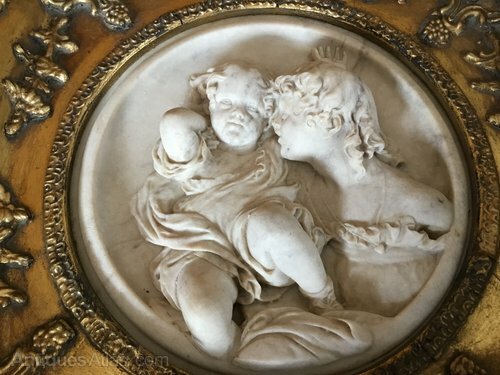 Hand carved marble framed wall plaque circa mid-19th century featuring two sisters. Created by E Wynn 1848, unsigned but has makers coin insert on reverse. Plaque in good condition with wooden frame showing some signs of light restoration and in need of gentle handling due to age. Size of frame is 30 cms Square and diameter of plaque 18 cms.